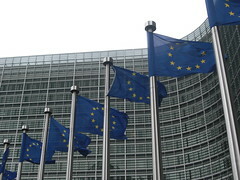 BRUSSELS – The fight against international tax evasion will be taken up a notch as the EC launches a new group to monitor the international fight against tax. The Platform will be comprised of representatives of tax authorities from participating countries, NGOs, research institutes and some multinational businesses. Explaining the purpose behind the Platform, the Commissioner for Taxation of the European Commission said that the Platform will monitor the progress made by tax authorities around the world towards implementing more effective rules to fight tax evasion. The multinational participation of the Platform will also “…serve as a source of strong peer pressure”, which will encourage governments to ensure that their anti-tax evasion measures are on par with those implemented in other countries around the world.